A while ago GFG Style, an automotive company founded by leading designer Giorgetto Giugiaro and his son Fabrizio stated will present a new concept model at the 2019 Geneva Motor Show. Those newest concept vehicle given a name GFG Style Kangaroo. 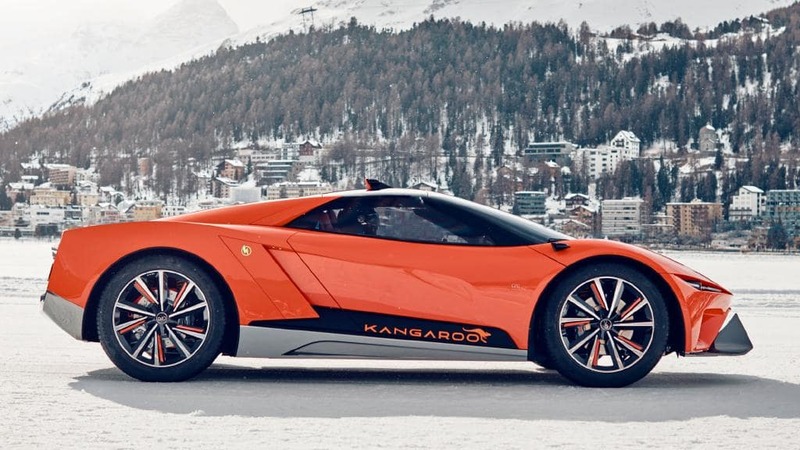 Of the many supercars and hypercar available and shown at one of leading auto expos in Europe, the Kangaroo appears a little different and unique. 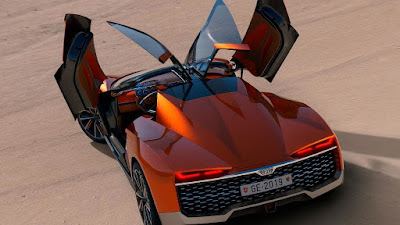 Yes, these newest GFG Style concept car later known as the electric-powered hyper-SUV that can accommodate only two people inside the cabin. The Hyper-suv concept has two 180 kW electric motors capable of producing 483 horsepower and 600 Nm of torque. 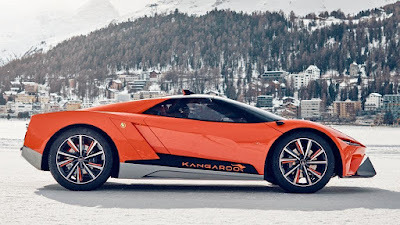 The power generated is then sent to the four wheels and allows the Kangaroo to accelerate from a standstill up to 100 kph in just 3.8 seconds. 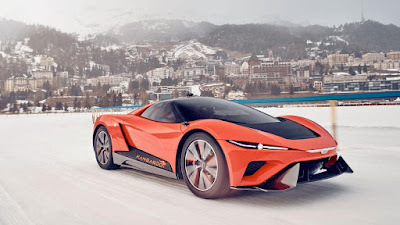 And those electric motor was known developed jointly with a Chinese company named CH Auto and said that the concept car also has a 90 kWh battery which is able to store enough power to reach distances exceeding 450 km. What makes these GFG Style Kangaroo more unique is the suspension system. These Hyper-SUV driver can choose the Racing mode that will reduce the height of the car to 140 mm. Next is the Road mode suspension arrangement, where the height of the vehicle is raised to 190 mm, and the Off-Road mode increases the height of the suspension further to 260 mm. GFG Style also claims that when Kangaroo is driven in Racing and Road mode configurations, its shock absorbers work with a single spring. While when the Off-Road mode is selected, its shock absorbers work with two springs simultaneously. In addition, these hyper-SUV also has a number of sensors on the roof that allow it to drive autonomously. 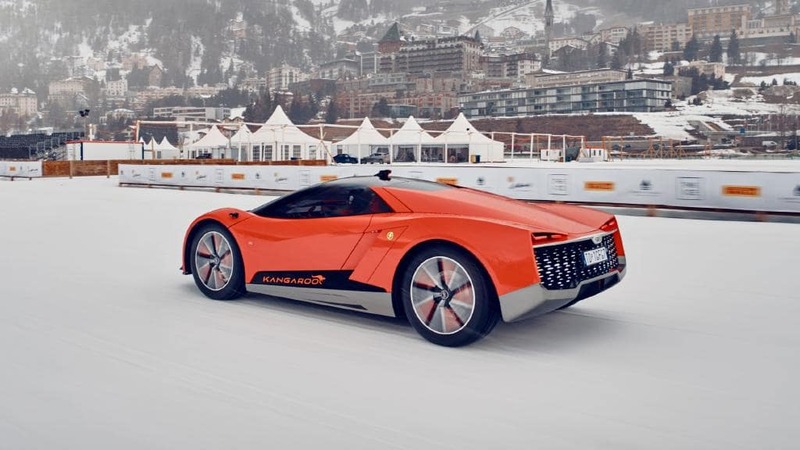 This concept vehicle sits on an aluminum space frame platform, and all of its body are made of carbon fiber, besides that there are also polycarbonate fenders. The main highlights on the exterior include the butterfly door, the headlights and the taillights are very slim and the front bumper sharp. 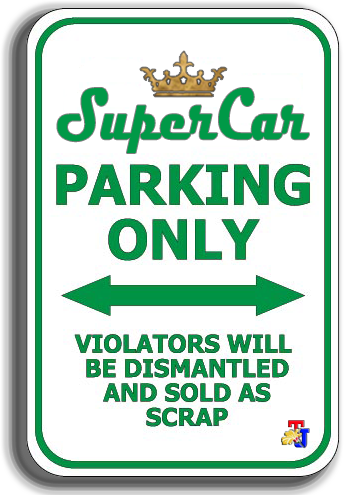 This car also uses large 22-inch alloy wheels wrapped in Pirelli Scorpion tires so make it has high ground clearance and look dashing. While in its the cabin, there are steering wheel inspired by racing cars and digital instrument clusters. 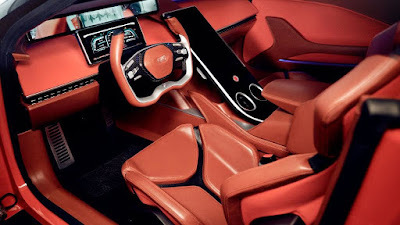 Then right above it, there is an additional screen that might display a number of the main functions of the vehicle, and the third, there is a vertical screen sitting in the center of the dashboard.